Mark Batey offers both executive training and academic teaching on all aspects of brands and branding, and the creation and management of brand meaning. His “Meaningful Brands” training is offered via modular workshops, courses and presentations. 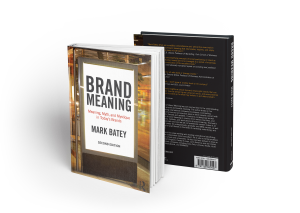 Highly topical and with illustrative cases throughout, “Meaningful Brands” provides a thorough grounding in what Mark terms the “alchemy” of branding. The course takes participants through the critical components of brand identity and brand image, and demonstrates how brands start off as names on products and end up as icons of meaning. Training may be arranged in two 3-hour sessions, or run over a couple of days. Mark was recently visiting professor at top-rated ESCP business school in Paris, whose Master in Management was ranked No.1 worldwide by the Financial Times. He also teaches at various universities in Brazil, and at Pompeu Fabra in Barcelona, Spain (UPF), within the university’s post-graduate program entitled Brand Meaning, which draws in large part from his book. For more information on training please contact Mark by clicking here.